On August 7, Thai lawmakers began debating over a very controversial amnesty bill, that seeks to pardon all political offenders, particularly from the coup of 2006 in Bangkok to the present day. However, the bill excludes major political leaders during that time, in specification to former prime minister Thaksin Shinawatra, who was charged with corruption 5 years ago. But critics say the bill could still allow Thaksin Shinawatra to return from exile without going through a jail sentence for corruption. Why is this? AsiaSociety: From left, Thai Prime Minister Yingluck Shinawatra, and her brother, former prime minister (2001-2006), Thaksin Shinawatra, who was charged with corruption in 2008. One, Thaksin Shinawatra had, and still has many supporters in Thailand. This includes members of the Parliament. Before the Amnesty bill can be passed, it has to go through the Thai Parliament, and critics warn that any changes made to the bill could be in favor of Thaksin's safe return to Thailand, without having to serve his jail sentence. Two, the current prime minister of Thailand is Thaksin's own sister, Yinglak Shinawatra. Despite stating in an interview with CCTV 2 years back that all political offenders would be given amnesty only according to Thai law (watch the interview here), critics fear she is Thaksin's puppet, and will do anything to make sure her brother doesn't go to jail. Human rights activists have also said that the bill would pardon all the human rights violators of the 2010 bloody military crackdown in Bangkok. 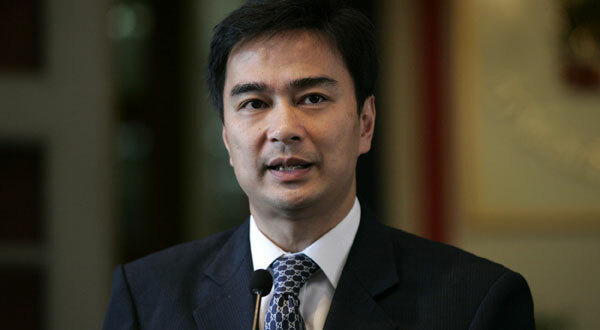 During the 2010 political unrest, the prime minister at that time, Abhisit Vejjajiva is facing charges of murder in connection with the "crackdown", though his case has yet to reach the court. Tasty Thailand: Abhisit Vejjajiva, Thailand's prime minister from 2008-2011. However, if this bill passes, Vejjajiva may be pardoned of all his actions. This event mainly impacts people living in Thailand, particularly in Bangkok, where all the discussions are taking place. This is because ever since the debates over the bill have started, people have taken to the streets in opposition to the bill. The passing of this bill could lead Thailand yet again to social unrest. If Thailand does experience social unrest, there will be an obvious decline in tourism, and schools and businesses may close down, like how they did a few years back during the Red Shirts Yellow Shirts feud. This would further impact people. If the amnesty bill had been altered in a manner that is very specific as to who it is targeting, it would have been more difficult to change it in favor of political leaders like Thaksin Shinawatra. If the bill had clearly stated that political leaders are excluded from amnesty, and there are absolutely no exceptions, perhaps it would have become easier to pass. But this cannot be done anymore, as the first draft of the bill was passed on August 8, 300 votes to 124, thus prompting all the protests. At this point, critics and oppositions believe any sort of amnesty will only bring Thaksin back, because he has many supporters in parliament, and because his own sister leads them all. However, so far, the protests have been relatively unsuccessful, due to lack of unity. The amnesty bill has to be passed two more times in order to be made a law, which does not seem impossible to achieve at this moment in time.